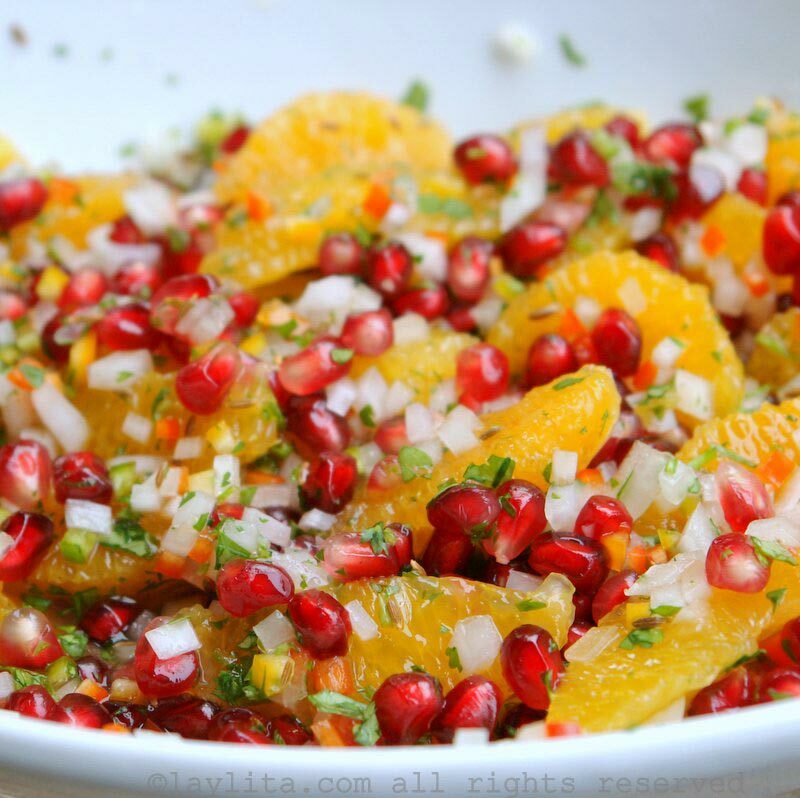 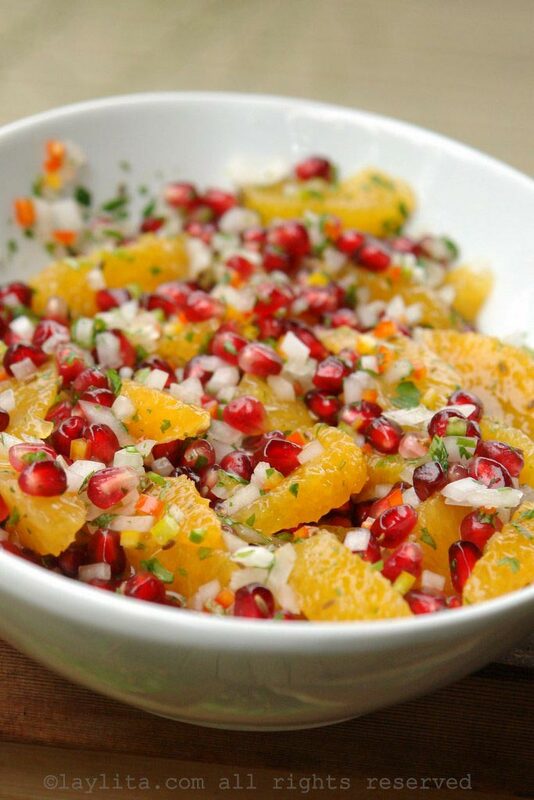 This refreshing spicy orange and pomegranate salsa is made with fresh pomegranate arils, orange segments, onion, cilantro, hot pepper, lime juice, orange juice, cumin seeds, olive oil, salt and pepper. 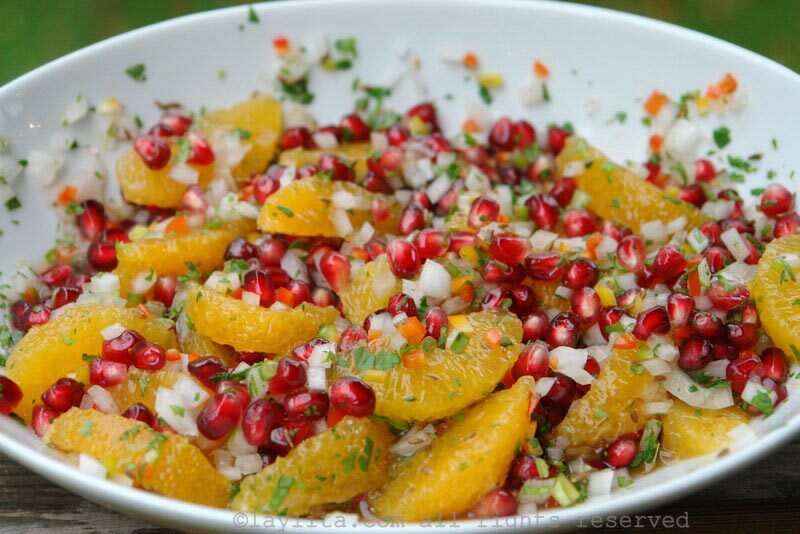 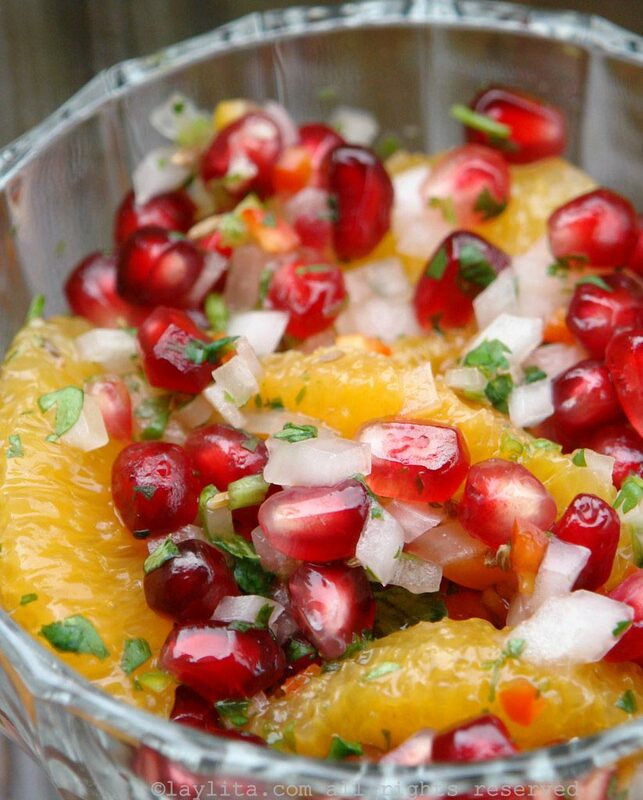 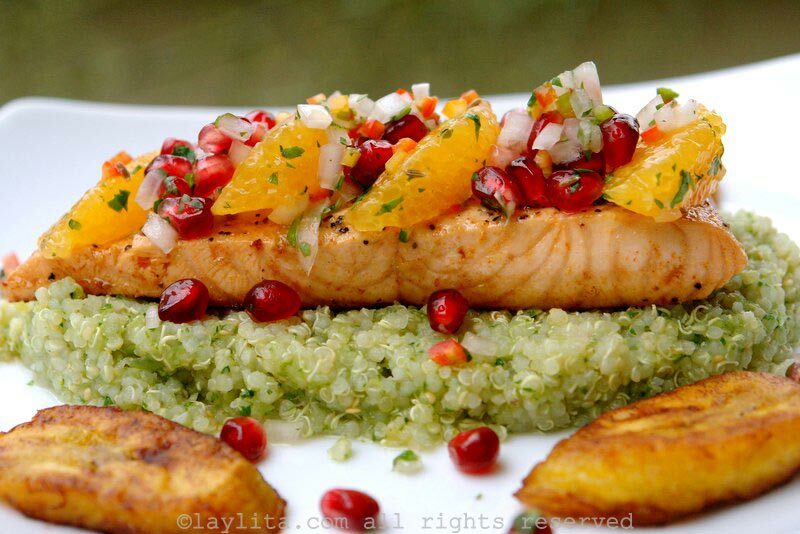 I originally made this spicy pomegranate orange salsa to serve as a topping for fish. 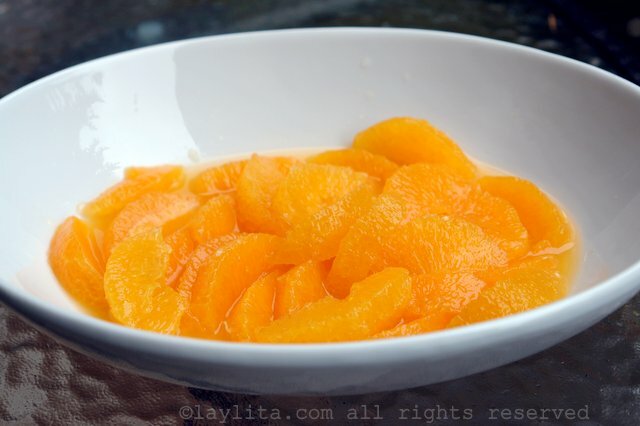 It also works great with shrimp, chicken, and lamb. 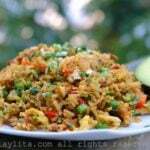 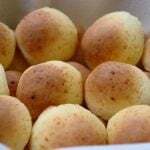 You can also serve it with tortilla chips or plantain chips. 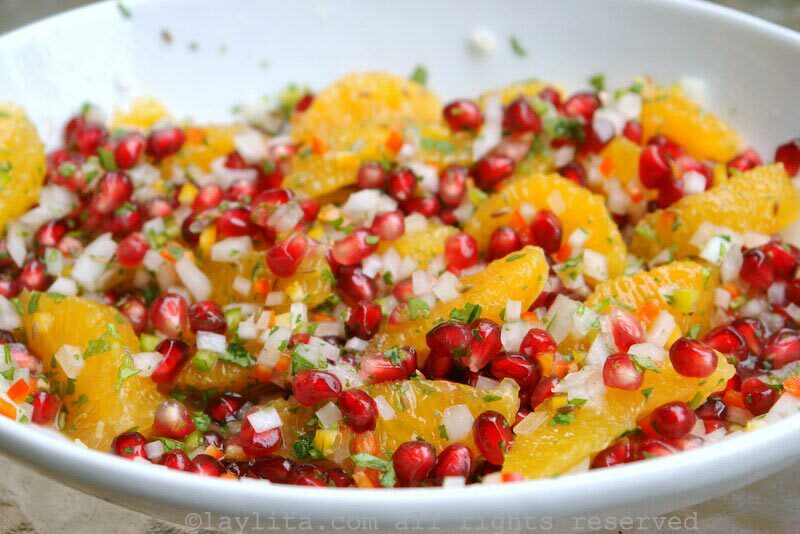 Another option is to serve it on top of classic guacamole to give it a colorful holiday touch. 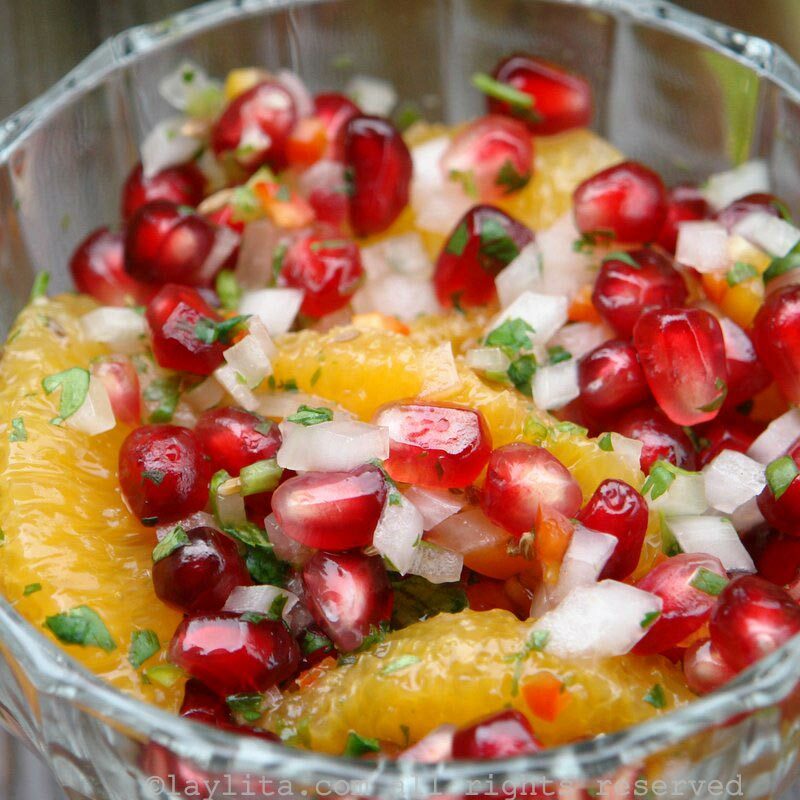 Spicy pomegranate salsa made with pomegranate arils, orange, onion, cilantro, hot pepper, lime juice, orange juice, cumin seeds, olive oil, salt and pepper. 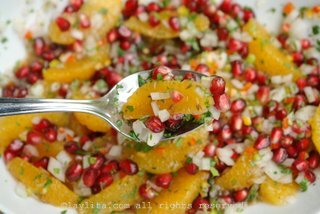 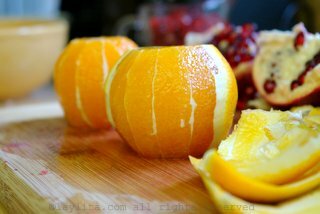 Combine the pomegranate arils, orange segments, any juice squeezed from the orange membranes, lime juice, diced onion, cilantro, serrano peppers, cumin seeds, olive oil, salt, and pepper in a bowl. 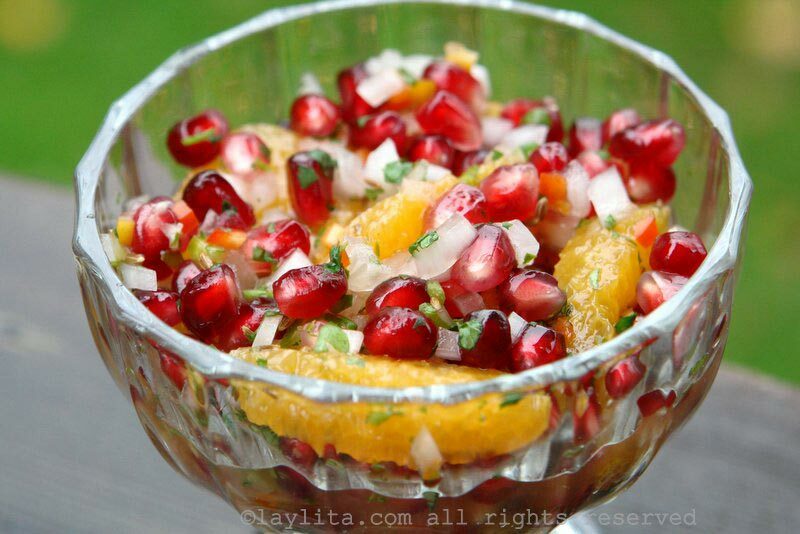 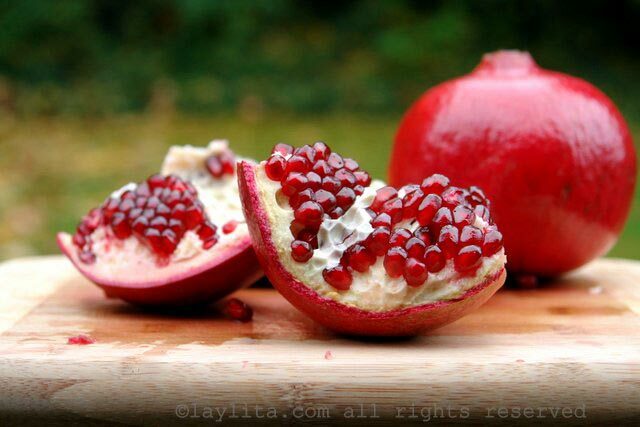 Mix the ingredients for the pomegranate salsa, taste, and adjust seasonings if needed. 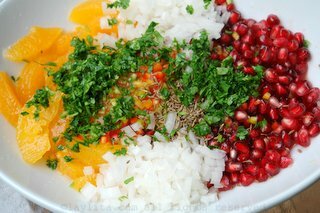 Let the salsa rest refrigerated for about 30 minutes or until ready to use.